The benefits of Lavender oil include relaxation, easing stress and more. Its balancing properties make it gentle enough to use on dogs, horses and cats. The French scientist René Gattefossé was among the first to re-discover lavender in the early 1900's. And has been one of the most popular oils ever since that time. It is one of the most versatile oils in nature. The fragrance is very relaxing and calming to the body and mind. That is why it is one of my favorite oils and is a “must have” for the home or barn! I like to use a very special lavender grown in St. Maries Idaho. Yes, you will still get the same great benefits of lavender oil; but this carefully harvested crop has the potential of being the best that lavender oil can be! Because it is very nurtured and taken care of, it can be compared to a reserve wine or a aged Anejo Rum. I love its deep rich aroma and I promise you will be drawn to it immediately! The animals are drawn to this oil over the french lavender oil! 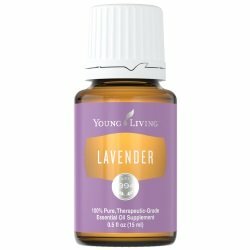 My favorite essential oil blends that contain lavender are Brain Power and Gentle Baby. Gentle Baby is safe enough to use during pregnancy and can be used on infants! It will help you relax and stay centered before, during and after delivery! Better put it on Dad too! As I receive new tips and testimonials on the benefits of lavender oil they will be added to the page, so check back often! Want to Purchase Therapeutic Lavender Oil? Why is this information important? Well, believe it or not, some companies will substitute a species within the family where the fragrance is similar! But remember, then it will have different chemical constituents and supporting properties, so please be aware of this. What is the Latin Derivative? "to wash"
Did you know that the benefits of Lavender (and aromatherapy) were re-discovered almost accidentally? Yes, a French scientist, René Gattefossé, the father of aromatherapy used lavender in his family's perfumery business. What are the Plant Properties? Relaxing and calming. What is the Aromatic Affect on the Mind? Calming, relaxing, and balancing. Eases anger and frustration. What is the Spiritual Influence? Greater intuition and clarity. What Chakra is Affected? Promotes opening of the heart and crown chakra. Interested in Dietary Lavender for Your Culinary Adventures? Then check out Lavender Vitality Essential Oil! Can this oil be used for Animals? Yes, all animals including cats can use this oil! What are the Safety Precautions? First, only use therapeutic grade essential oils! Lavender oil is generally regarded as safe (GRAS). But, make sure your lavender is not another species or a hybrid, such as lavandin. Lavandin is typically cut with synthetics and sold as lavender oil! Did you know that researchers at University of Miami found that inhalation of lavender oil increased beta waves in the brain, suggesting heightened relaxation? Did you know that a 2001 Osaka Kyoiku University study found that lavender reduced mental stress and increased alertness? On the July 11, 2008, episode of NBC's Today show, Dr. Susan Wagner, an animal neurologist, along with animal behaviorist Dr. Terry Curtis promoted the use of essential oils. During the Today's Pets segment, Dr. Wagner addressed the fear issues of several dogs including Bailey, a Labrador mix, who is afraid of water. Dr. Wagner suggested the use of Lavender essential oil as an option to help release the dog's fear, and explained that, "When we talk about essential oils, we're not talking about fragrances that you buy at a bath and beauty store—these are therapeutic—grade essential oils, and lavender is one of the most calming plants. So we can take a couple drops of oil and put it on a piece of clothing next to Bailey or even one drop and rub it between the hands and rub it down the back and it has an amazing calming effect." Pets can also reap the benefits of Lavender oil! Go to the Oil Shop! Buy French Lavender Essential Oil Here! And purchase St. Maries Lavender Oil here!